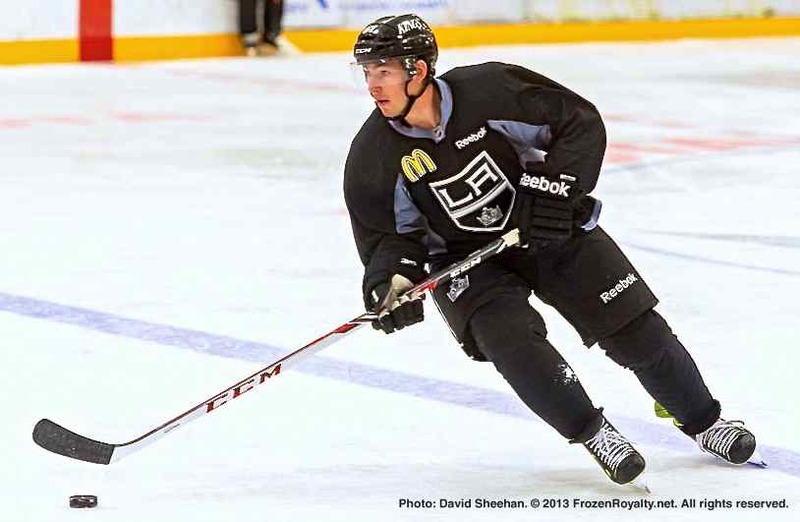 EL SEGUNDO, CA — Just before the end of the 2012-13 regular season for the Manchester Monarchs of the American Hockey League, the primary minor league affiliate of the Los Angeles Kings, Frozen Royalty spoke exclusively with right wing prospect Brandon Kozun. 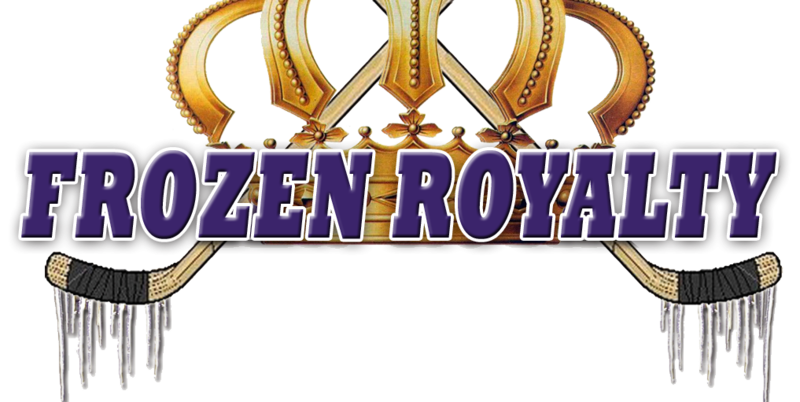 That interview was an eye opener due to Kozun displaying a maturity level that the media covering the Kings had never seen before, and that lack of maturity earlier in the 23-year-old’s career had proven to be a big obstacle in his path towards advancement. As that April 2013 story indicated, Kozun has taken some big steps towards seeing the light. If you rewind back a couple of years, Kozun would have had a very different mindset, one that did not have the concept of team firmly in mind. But now, instead of focusing solely on himself, he’s talking about his teammates, and being a leader for the younger prospects. Another indication of the sea change in Kozun’s mindset is that once the top line for the rookie games against the Anaheim Ducks on September 7 and 9 was determined to be Tanner Pearson, Linden Vey and Tyler Toffoli, Kozun shrugged it off. With the Kings training camp opening on September 11 (on-ice sessions begin on September 12), even though he knows the odds are against him, his goal is to make the Kings roster. “I’m a competitive guy, and I want to play in the NHL, but at the same time, you try to soak up as much information as you can, and try to become a better player,” he added. Kozun was signed to a one-year contract on June 19, 2013, a two-way deal that will pay him $600,000/season at the NHL level, and $55,000/season at the AHL level. But as Frozen Royalty discussed with him last April, his road to the NHL, should he ever improve enough to get there, might not go through Los Angeles. Indeed, with right wings like Jeff Carter and Justin Williams firmly entrenched on the Kings’ first and second lines, Kozun, who is ill-suited to a checking role due to his 5-8, 162-pound stature, has almost zero chance to make the Kings’ 2013-14 roster. As such, barring a trade, the Kings would try to assign him to the Monarchs. But Kozun must clear waivers in order for that to happen, and the chances are good that another NHL team would claim him off of waivers—the Kings would lose him without compensation. Despite having that strong possibility looming over his head, Kozun emphasized that he is not worried about that.